One of my top sellers at Barkz was the Smoochy Poochy collection. 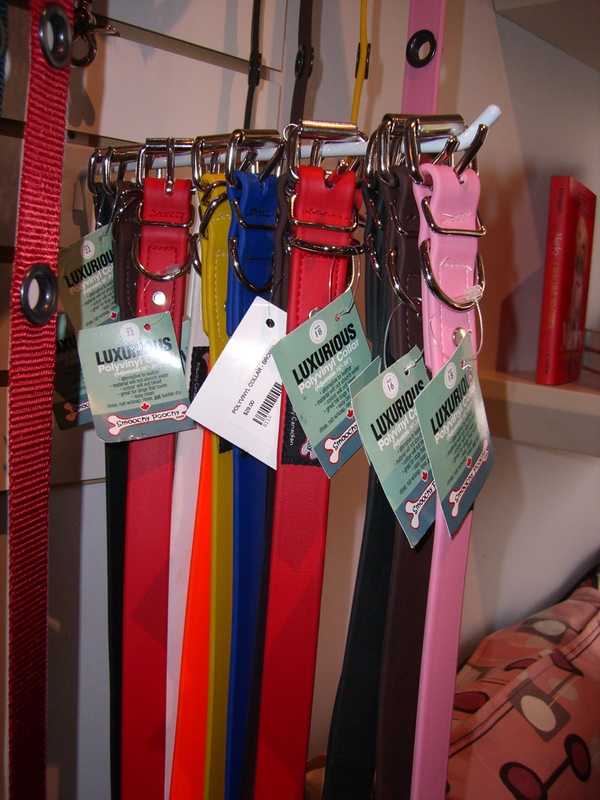 The collars and leashes come in both nylon and polyvinyl (PVL). 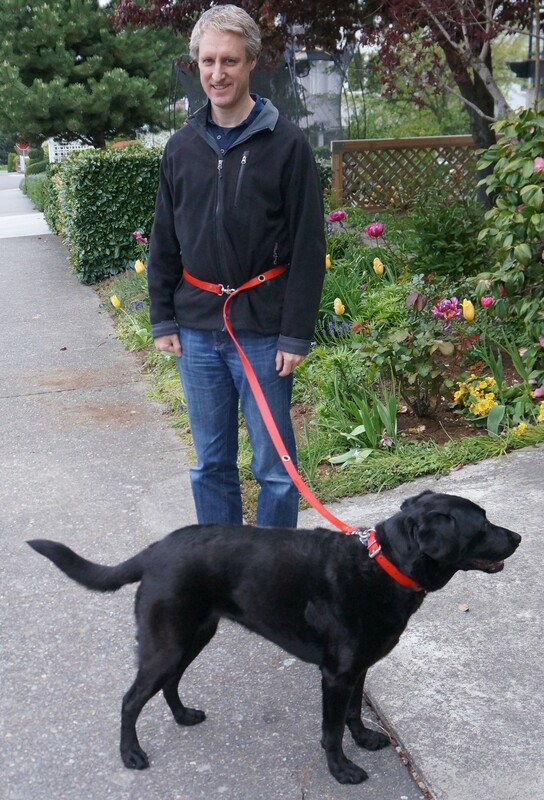 The PVL leashes and collars are extremely durable and waterproof. The only reason we had to replace Reef’s 4 years ago was due to the hardware (the clasp on the leash broke after 4 years). When her leash is not in use, it sits outside – so the cold and the rain has had no affect on it. If you’re not keen on the PVL material there are two nylon versions, 1″ width and 5/8″ width. The 5/8″ version is for smaller dogs i.e. Havanese because it’s lighter and won’t weigh the dog down. Dog trainers love these leashes because the length of these leashes are 6′ but can be clasp down to 4′ in length for more control. If you’re a runner, walker or have children to push in a stroller but also need to walk your dog at the same time this leash is for you. 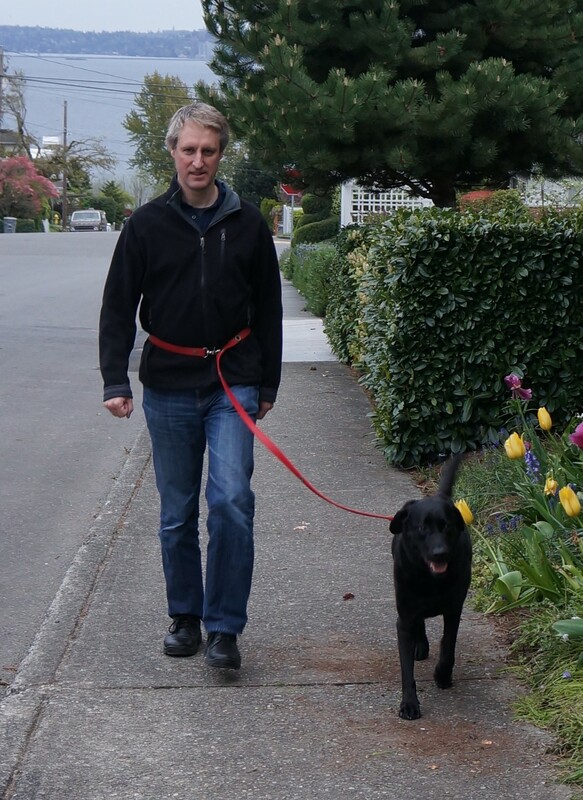 You can walk your dog with the leash clasp around your waist and have your hands free to push the stroller, hold your coffee cup or carry packages. It also has a nylon pouch to hold empty poop bags so you’re never caught without one. If the PVL leash or collar gets dirty (dog rolls in dead squirrel) all you need to do is take some dish soap and a sponge and wipe it off. These items are a bit more expensive than the average leash and collar BUT you’re not replacing these items for years which in the end, will save you money. Another benefit of these leashes and collars is they don’t stink. Therefore these items will not stink up your laundry room or entrance way (wherever you leave your dogs belongings). 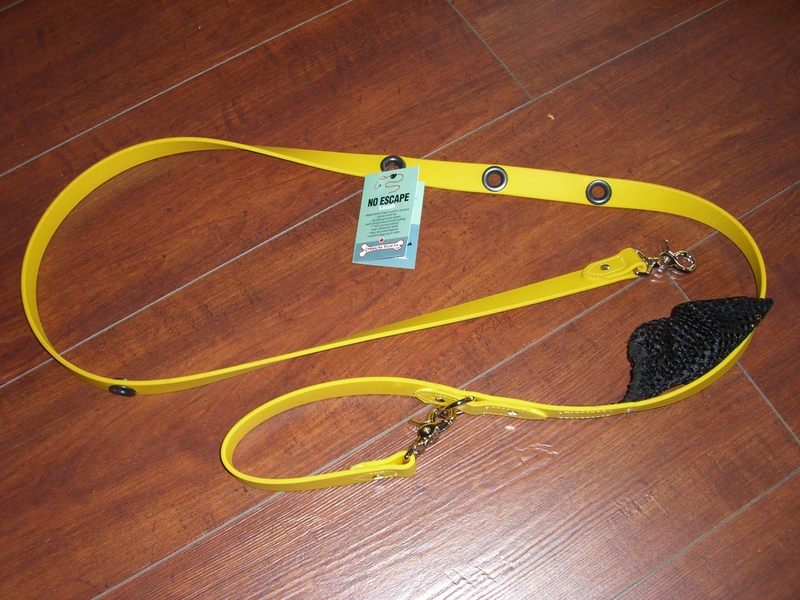 The leashes and collars come in a variety of colors and even the yellow doesn’t fade or change. In Canada – customers can buy these items from Pets Future and in the US you can buy them from Boo Boo Barkery (formerly Barkz the dog stop). Boo Boo Barkery will ship to all states in the US. Enjoy your spring with your dog. Excellent – I’ll be buying one for our new Havanese.